Blind Applying - The Champions' blogs! Back again and this time it’s me, Tanja. Yes you are reading correctly, after numerous interesting and entertaining posts Laura is retiring from her reporter duties at Coca-Cola …for now! 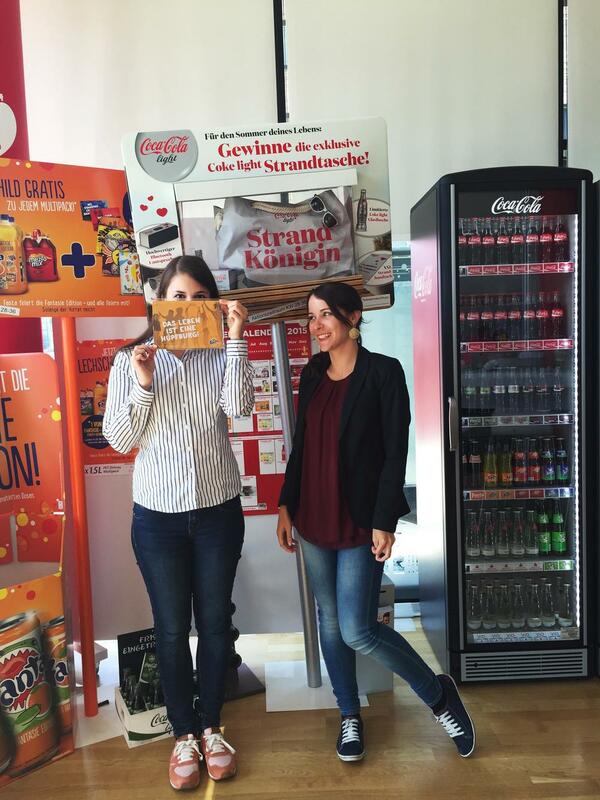 So from now on, I am going to tell you all tiny little secrets of the life of an intern here at Coca-Cola Erfrischungsgetränke AG. But first of all, let me introduce you to my small team: Katja, Karsten and me. 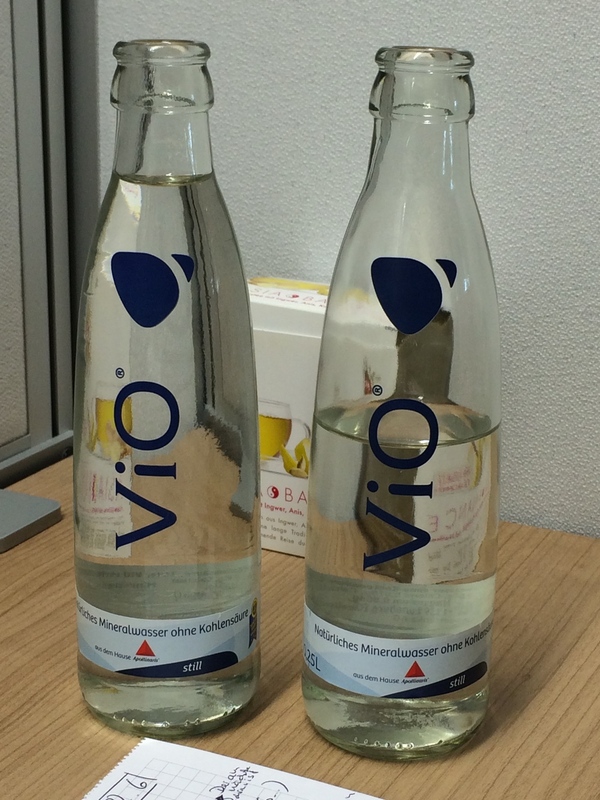 As mentioned in the last post, I am working in the marketing department – new ventures. We have a special focus on promoting new brands, like for example our delicious coffee CHAQWA (and yes this is supposed to be hidden advertisement ;-) ). You won’t be able to buy our beans just yet, but you might know us from vending machines or your bakery next door. I joined the team right in the middle of a product line change. The coffee bean line was improved, renamed and the packaging altered. As a result we had to create new promotion material and adapt old ones. What do you think is the most challenging part in changing the portfolio? The production? The new promotion campaign? Nahhh, it is the adaptation of the internal processes. 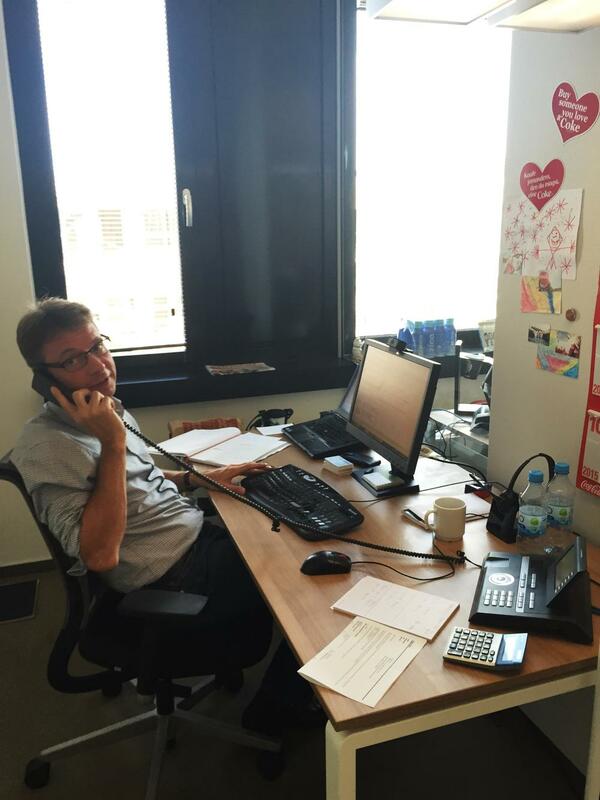 In such a big company, it takes some time to inform everyone from the logistic manager to the call-center employee. Until everyone in the company was on board, there were quite some e-mails sent and people called or informed during lunch. Right at the beginning my colleagues revealed a big surprise to me. After just two weeks in the company, both of my two team members would already leave for their well-deserved two week holiday. I had to fill in for all operational requests and take over some sub-projects. So a lot of responsibility right at the beginning of my internship. 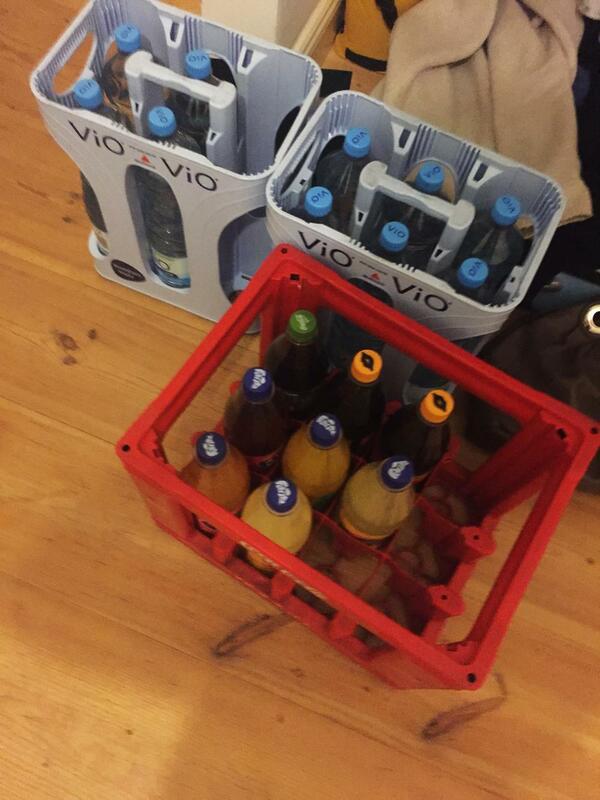 ... and how to use our company coupons for free bottle crates. Sadly, Laura’s four months came to an end way too fast. But she left with a big bang of course. Usually people bring cakes for their little goodbye event, but for the chef de cuisine Laura that would not be challenging enough. 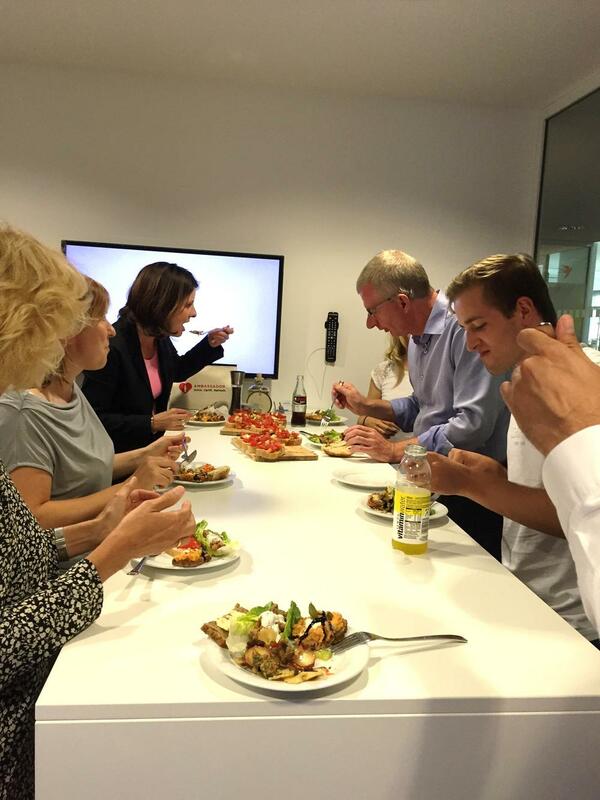 So after standing hours in the kitchen she presented an amazing goodbye lunch to her friends and colleagues. Everyone, including myself, welcomed this new approach of making yourself memorable with enthusiasm and a full plate. And a big thanks to all my colleagues - from whom some have become good friends - for the unique and great working experience! Now it's time to get prepared for my next adventure...Paris it is! "Oui, oui baguette" - here we go!" Stay refreshed and excited about the next posts. Cheers! Variety of tasks & happy smiles. Sounds like a day at Coca-Cola. Back again! This time it’s not all about traveling, food or boat races… Back to business it is – or to say back to freshness & starting with a new face & friend! First things first! 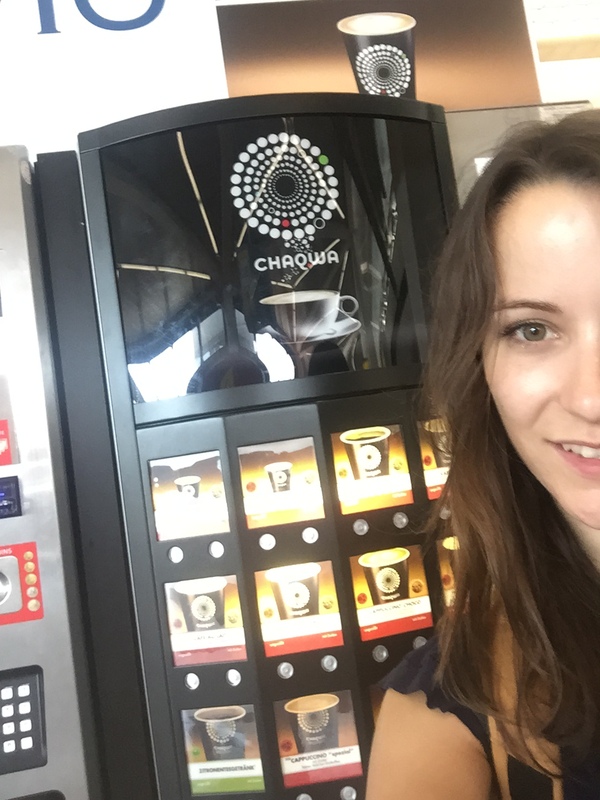 May I introduce to you my better half, blogging expert & coffee lover: Mrs. Chaqwa – Chaqa – Tanja. Yep, I got sophisticated support from the 2nd champion of Coca-Cola. What an incredible coincidence! She is working in the New Ventures Marketing department, working on the lesser known brands of Coca-Cola. Or did you know that Coca-Cola sells coffee? No?! Well Tanja will work on that! 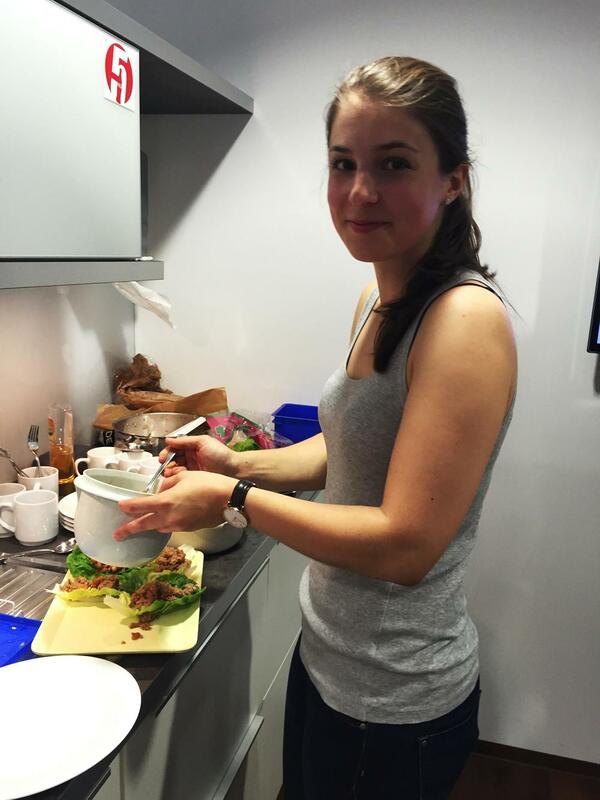 Luckily, she will keep you updated of whatever funny/ yummy or unexpected things will occur here at our Berlin hub. No worries! So who are the people surrounding us, teaching us how to cope with stressful situations and who make us laugh even during tough working days? First, there is one thing you should know before keep on reading…These supporting and humorous people, are a very shy species. So the outcome of lovely pictures you will see is just the tip of the iceberg of plenty of charming colleagues surrounding us. 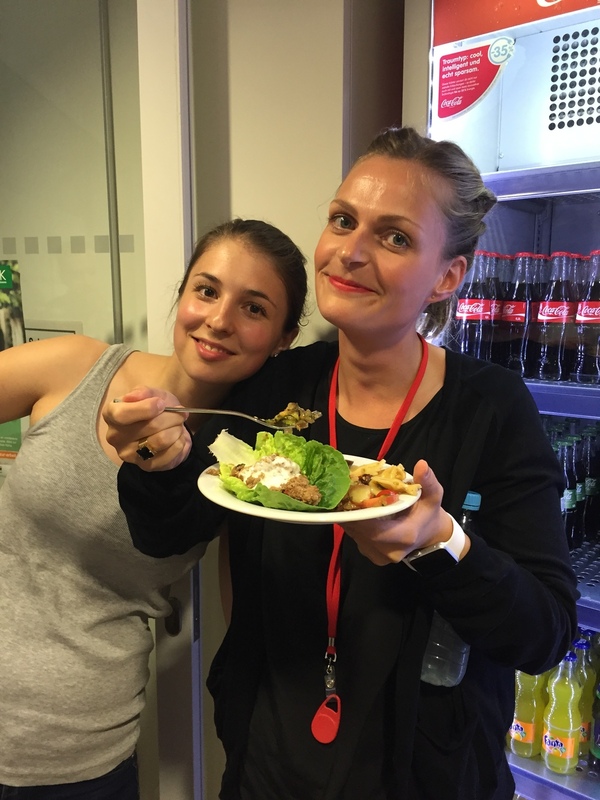 From happy faces to a happy app! 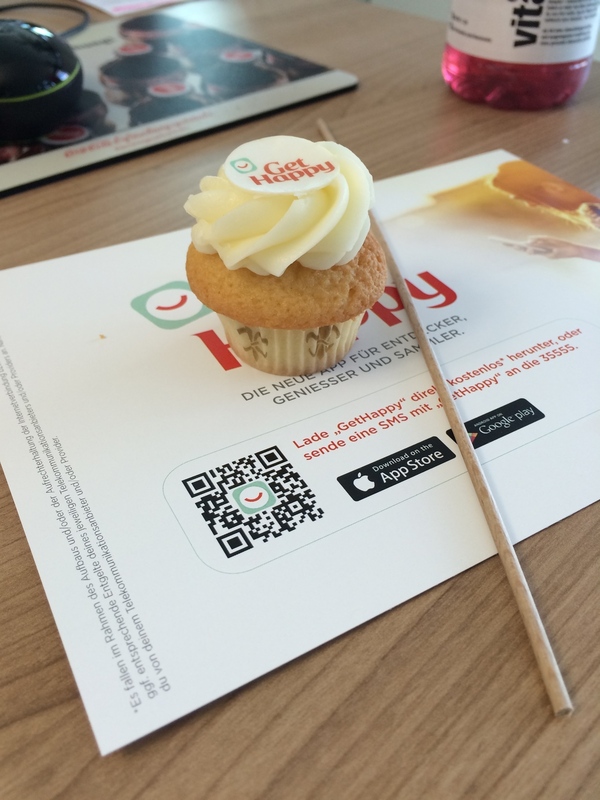 Thanks to our new “GetHappy app” with which you can spot the hottest bars, cafes and other locations all over Germany, a delicious cupcake was waiting for us on Monday morning. What a lovely coincidence! Thanks to the GetHappy team! Very yummy! Over the past months, we've been straight from university, Porter’s 5 forces & break-even points to practical applications during our daily work life. WHAT DID WE LIKE MOST ABOUT IT? That it is THAT practical. As you could see before we were able to directly support our field crews from delivering beverage castes to acquiring new clients. But also during our daily office job it’s never just numbers. 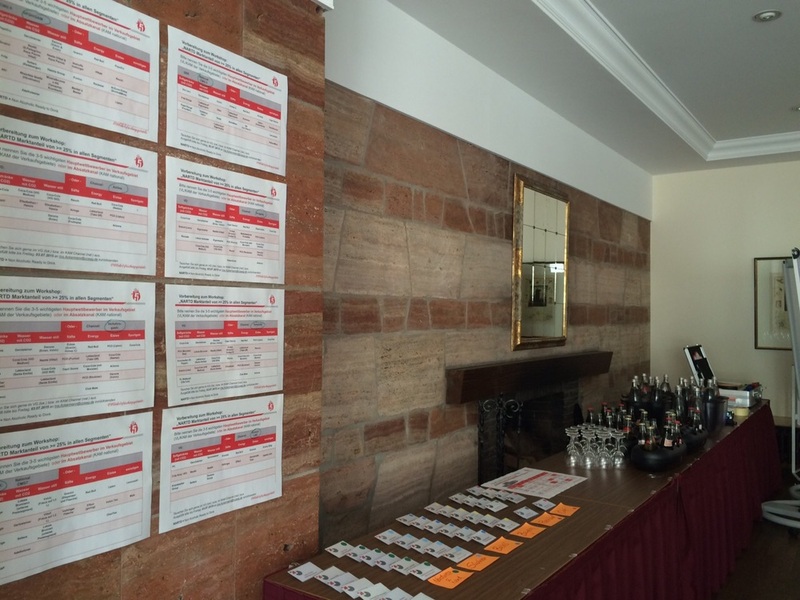 ... to planning a 2 day strategy meeting for 40 managers! Be proactive no matter what! There is always an opportunity to grasp! A person gets a task done because he/she is either forced to or motivated to do so. Meaning, find a way to motivate others! Everything gets done the fastest with a quick face-to-face talk. E-mailing should serve as a last option. 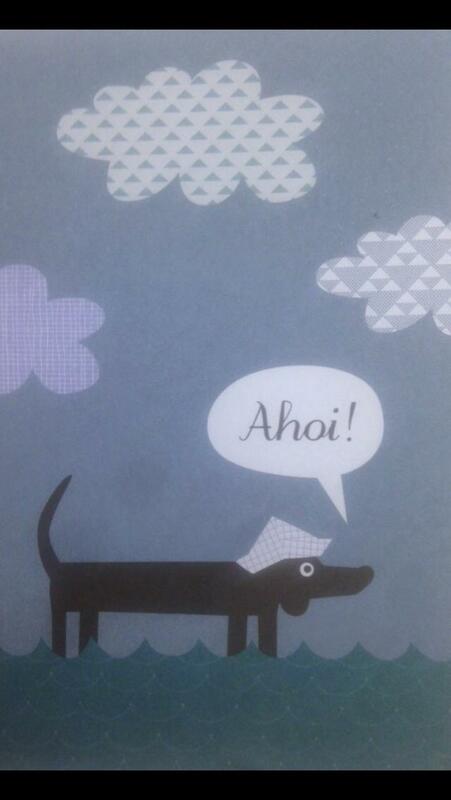 So, hear you soon & stay cool! Have a coffee in Alexanderplatz and then a stroll through Tiergarten. 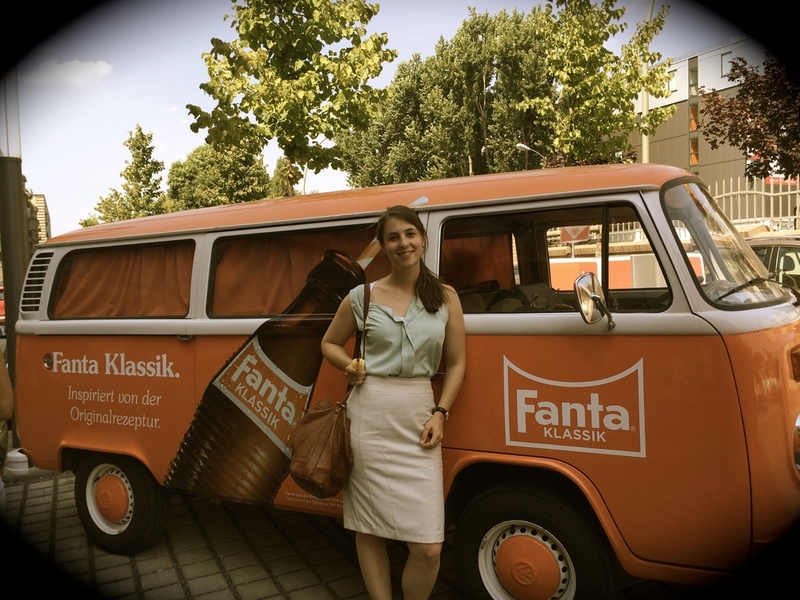 We asked Laura to create a playlist for her career adventure at Coca-Cola in Berlin. Follow the beats along the Spree river and enjoy! Back again! The past 2 weeks were full of traveling, enjoying good food&music. But have a look yourself! Have you ever heard about the “Karneval der Kulturen” (Carneval of cultures) in Kreuzberg? If not, it’s definitely worth a trip! There was delicious food from all over the world, stages with drummers, people dancing around. 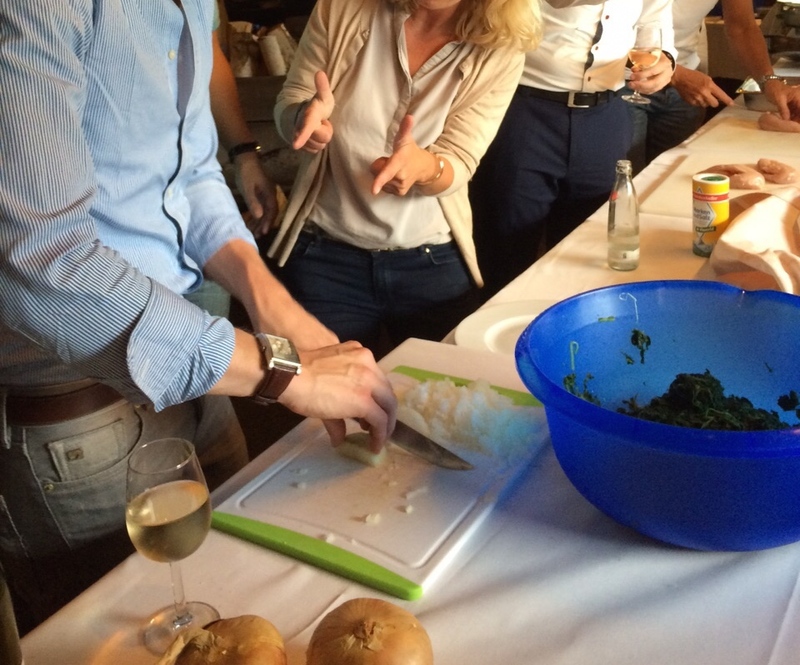 To make a long story short – it was a unique culinary & multicultural experience! 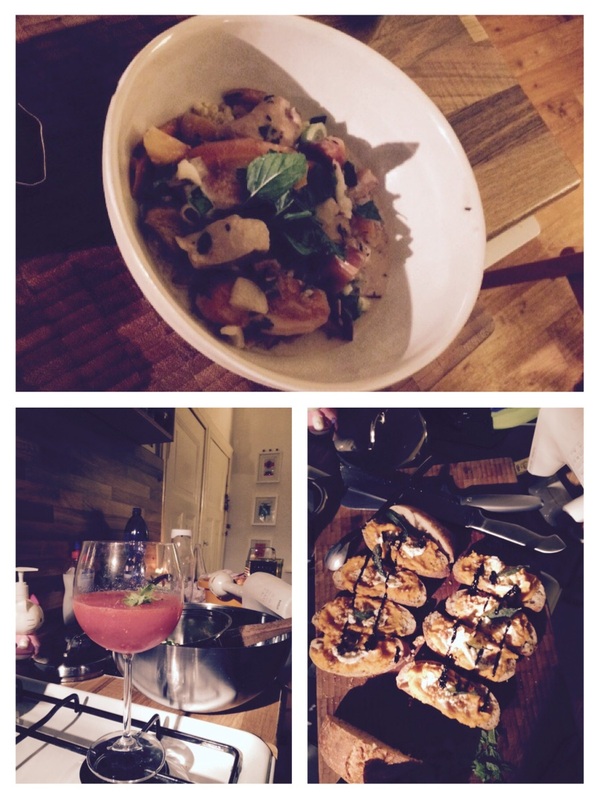 Speaking of culinary experiences – I really fell in love with Berlin’s gastronomy. Fresh flavours with cinnamon, anise, coriander, mint & lime leaves…Simply delicious! 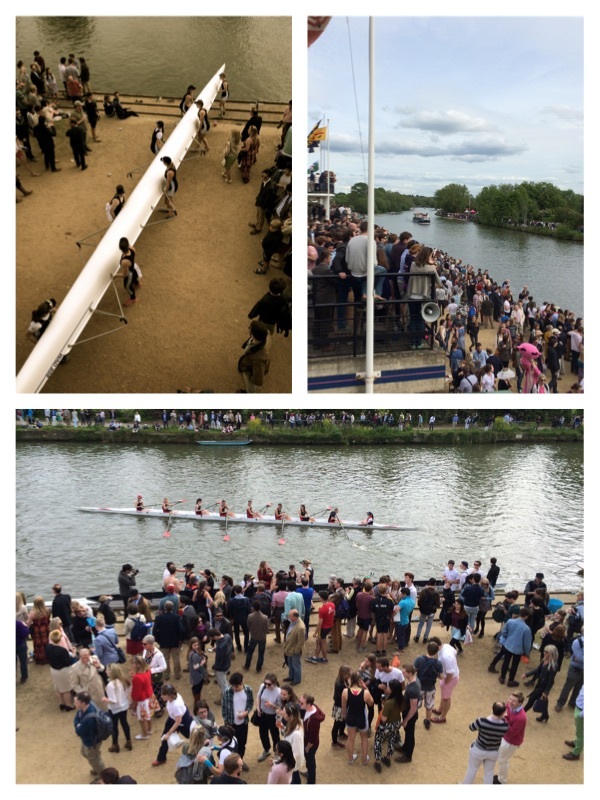 Oxford calling! Felt as if Harry, Hermine, Ron & Co. were about to come by every second. With its lovely and historical colleges and the typical English lawn this lovely town is a must see when visiting London & its surroundings! 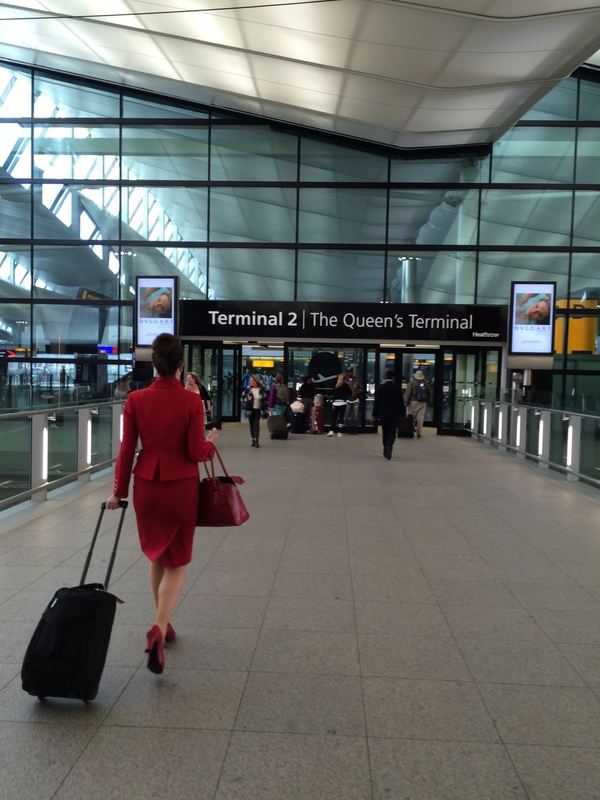 All good things come to an end…This time from London Heathrow Airport…with this red lady walking in front of me…Perfect snapshot! Time to move…again! I have to admit that I have stopped counting how many times I have already done this the past year. But this time I had a very warm welcome. My new “home” for the next 2 months was welcoming me with these gifts and a lovely letter from my landlords. Finally!!! My first Berlin Döner for this year :) How I missed this! 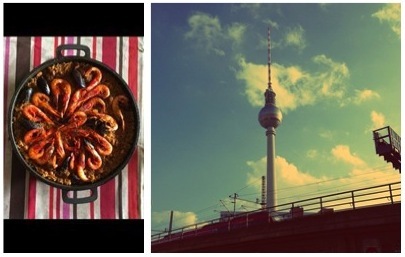 Honestly, if you ever want to fall in love with this simple dish, best chances = Berlin! Apart from this “gourmet” intermezzo I discovered the best bread I have eaten so far! Really! I bought it in one of the only 2 self-baking bakeries in Berlin. No pre-prepared dough, all homemade. My favourite: Coriander, anis-spelt bread! Time flies! Next weekend – next trip! 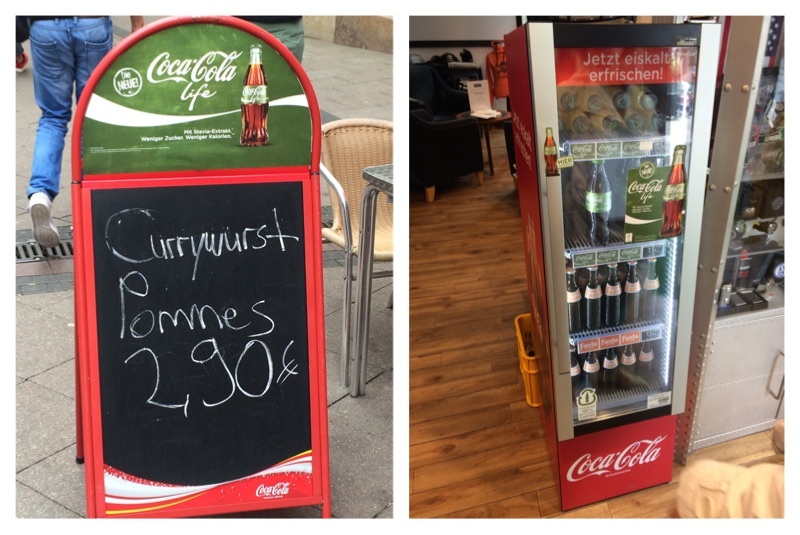 Home is where the “currywurst pommes” is!! The “Ruhrpott”!…and have a look! 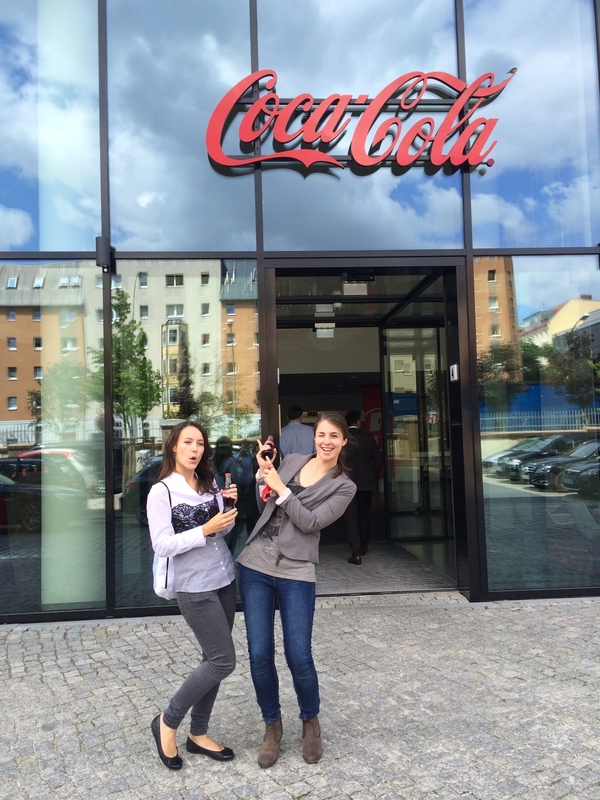 My Coca-Cola colleagues in my hometown were as hardworking as we in Berlin & Leipzig…Coca-Cola Life everywhere! Weekends are always too short… back to Berlin. But accompanied by 2 nice food magazines. Culinary again! 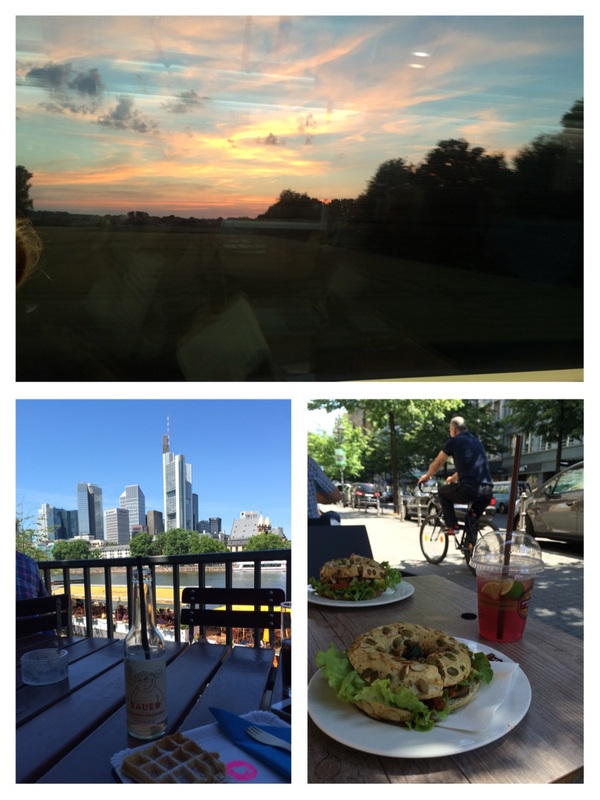 After work-dishes with some friends at “Markthalle 9"
Have you ever been to 5 cities in 2 days? Well…until now I haven’t either… The menu for the weekend: A marathon! 3rd train ride for the weekend: Frankfurt! What a lovely day with great weather, a rhubarb drink, waffles & bagels! Finally! After a busy but amazing weekend, tired but happy to could have seen my family & closest friends… on my way to Berlin. For a change, the upcoming weeks I will stay away from planes & trains - I promise. Let’s see what Berlin is up to the next weeks! Goodbye Madrid – Hello Berlin! After a quick intermezzo of less than 48h in my hometown I jumped into the train to Berlin. 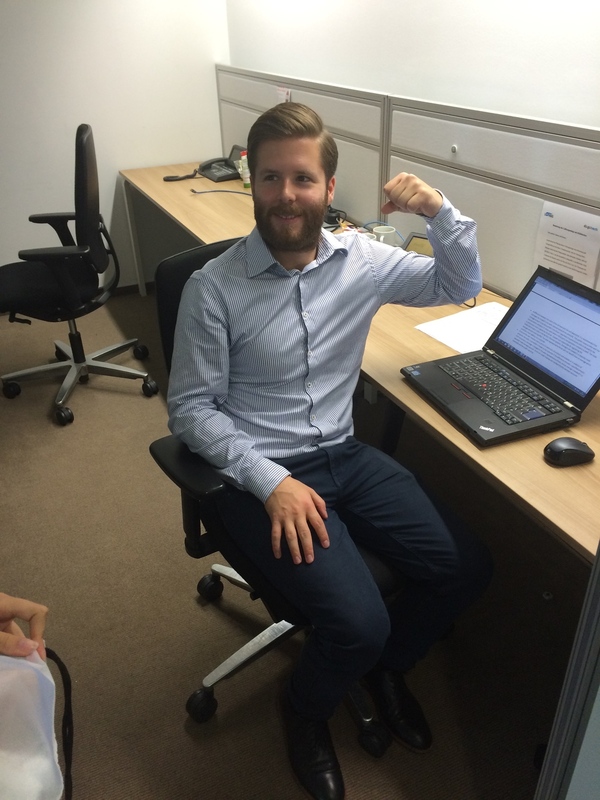 First day @ Coca-Cola – Me being excited (of course) But no need for that! I had a warm welcome, lovely gifts (got my own Laura Coke Bottle ;) ) & discovered our kitchen with these two tempting fridges in it. Still haven’t tried out all of our products to tell you what’s my bestie. But I am on it! What a view from the truck. 2m above the street! After my first hands on experience with the “rote Flotte” the next adventure was already waiting for me: Coca-Cola MIT DIR! All of us were able to take part in a huge event of Coca-Cola the MIT (Merchandising Impact Team) DIR (you) What’s that?! It is ought to promote the new Coca-Cola LIFE. But not in a boring way… There were different “camps” established in Germany. During the day all of us were in the markets (EDEKAS, REWES etc.) promoting the new green Coca-Cola Life – wearing these lovely green shirts & jackets – looking like a bunch of friendly frogs! And what’s the camp for? We slept there in the “wilderness” directly at a lovely lake. Having breakfast together & after coming “home” from work sitting together or doing sportive activities. Me, as pleased as punch! I was able to sell a “get happy app” to one of our visited customers. Great start of the MIT DIR camp! Then suddenly! I got a call from my very kind boss: “Laura! 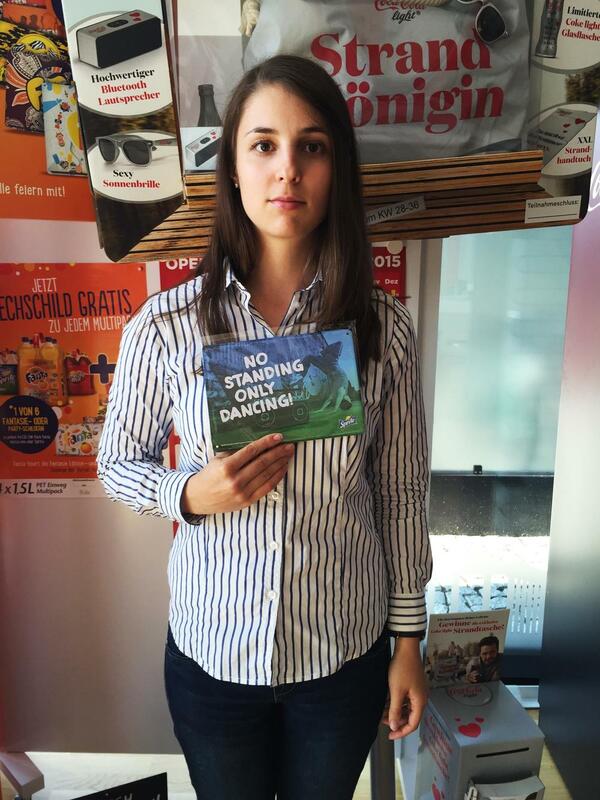 I have just been to our camp in Leipzig and they told me that they urgently need more support. Do you want to change the camp?” SURE!!! So I was moving to the Leipzig surfer-beach camp the following Sunday! 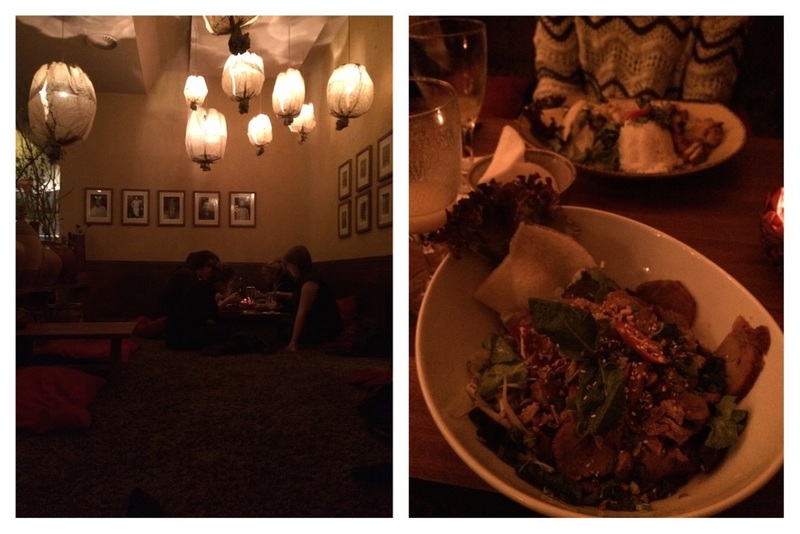 But before: Enjoying Berlin life with a very lovely colleague of mine. Just got to know her on Saturday while distributing free Coca-Cola Life at the “Alex”. On Sunday we got a guided city tour - but not as boring as they usually are! We climbed the tower of the city hall & at the very top – to our surprise-a cold drink was waiting for us! Aaaand, there was this really cool boat tour we did! Some of us really brave wearing flip-flops at summerlike 15 °C… Very impressed! Then on Tuesday there was a huge final party in Berlin… Right! Berlin! But I was still in Leipzig… Already sad I heard great news! 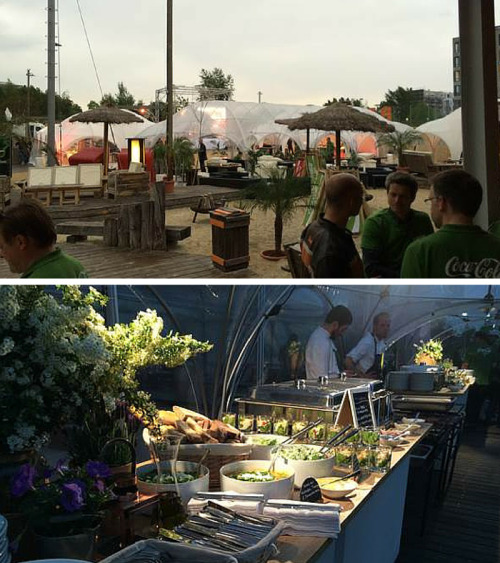 We were supposed to get “shuttled” away… From Leipzig to a super location, with food, music & entertainment! ☺ Not even a slight rain storm could prevent us from dancing & laughing through the night. I have to admit: One of the best company parties I have been so far. 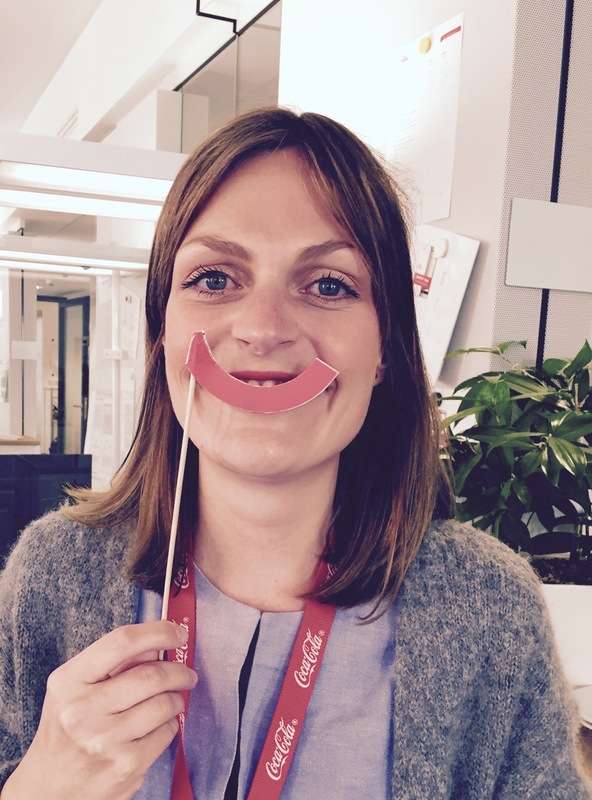 Meet Laura, the Blind Applying champion of Coca-Cola! 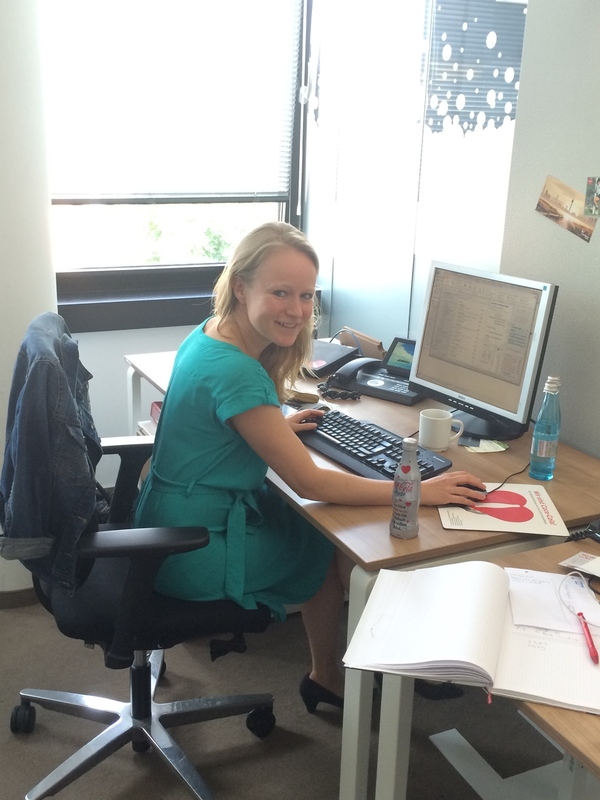 Laura will soon be sharing insights from Berlin, as she works in Sales and Marketing. Have you wished to work for Coca-Cola before? Coca-Cola is the number one brand worldwide in terms of brand image and marketing. Hence, Coca-Cola was taken as a showpiece example in nearly all of the courses at my university. Moreover, the wife of my father was working for the Coca-Cola company for several years before they moved to Berlin and loved its culture and working atmosphere. Whenever she came home from work she excitedly told me about her challenging and great workday. As a result, ever since then, I have been highly interested in the company as a potential future employer. Therefore, I am even more excited that I was allocated to the CCE AG through Blind Applying. Is there something you will miss about studying in Madrid? I will definitely miss the welcoming and supportive staff of the campus of the ESCP Europe that was like a family to all of us students. Moreover, I will miss speaking Spanish… I am still dreaming in Spanish and every now and then I am tempted to answer in Spanish while talking in my native language, German. Additionally I will miss the friends I made in Madrid and of course the city itself, which is a metropolitan city where you feel like home immediately. Full of friendly, open-minded people and with a diverse portfolio of activities, from museum visits, to bars and restaurants to an outstanding nightlife. Most favourite book or movie? My favorite book is „The Kite Runner“ by Khaled Hosseini. It uniquely illustrates the fall of the monarchy of Afghanistan through the Soviet military intervention and the rise of the Taliban regime. The book took me on a journey to the fascinating but cruel life of a young boy and his best friend during this time. It opened my eyes to see what kind of privileged life we are living, that we should appreciate every day in our lives and try to give back to those who are facing a much harder existence and struggling with life. What's it like to work for the Blind Applying employers? Click on the name of each employer to get the inside stories!